Industry 4.0 promises to transform the way things are produced through trends in technologies. Described by many as the fourth Industrial Revolution, the term “Industrie 4.0” originates from Germany and involves automation and data exchange to achieve smart manufacturing. Experts believe that investment in intelligent networks through the supply chain, controlling elements autonomously and creating what’s referred to as a “digital factory”, will transform the way products are manufactured forever. To remain competitive in a crowded marketplace, manufacturers need to prepare for this major change to modern manufacturing. In an Industry 4.0 factory, management should expect to gain better insight into the status of their factory by utilising effective data sources. 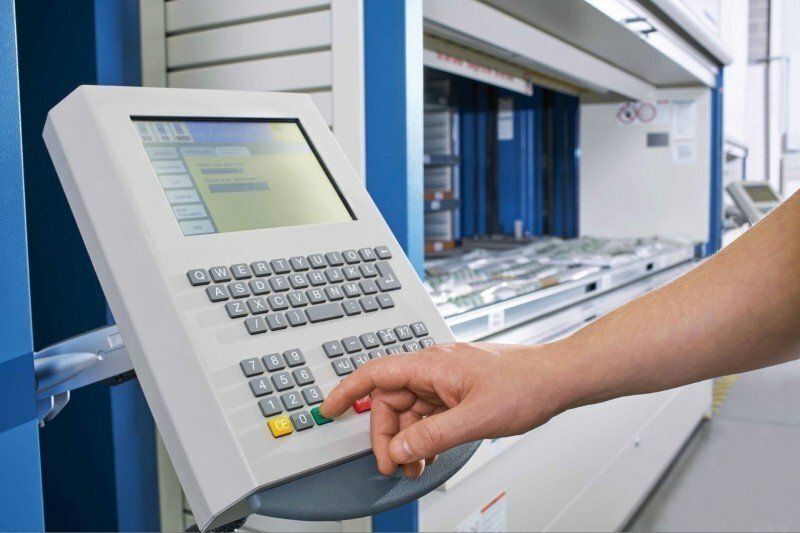 By connecting machinery through the Internet of Things and changing to modern, technology-driven processes and systems, manufacturers can access business critical information regarding productivity, efficiency, stock levels and error rates. Businesses across the UK and Ireland are starting to champion this new phase of digitalisation in industry. The team at Industore are working on several automated storage projects with Industry 4.0 at the forefront of ambitions. On first thought, the journey to automation may appear daunting but it needn’t be; our experienced sector specialists and engineering team will guide you through the process, starting with your current storage requirements and future projections, through to software integration. Industry 4.0 is a real game-changer; to get the most out of Industry 4.0 technologies, companies must prepare for digital transformation. Future-proofing your business should involve analysing, monitoring and adopting relevant changes from this new phase of revolution to take advantage of new opportunities on the horizon.